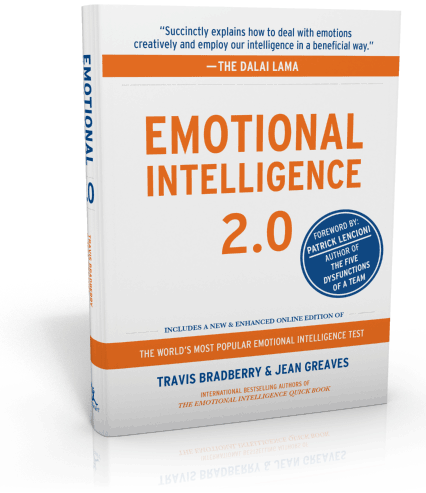 Emotional Intelligence 2.0 is a book with a single purpose—increasing your EQ. Emotional Intelligence is one of those concepts that is often thrown about in the entrepreneur space. Gary Vaynerchuk in particular often talks about EQ and self-awareness. Emotional Intelligence is a key skill for any entrepreneur, leader, or anyone aspiring to rise high in their career to have. If you’re not sure what Emotional Intelligence is or are looking for a primer on the subject, this book is a fabulous introduction. Emotional Intelligence 2.0 covers four core competency areas with strategies you can use for individual improvement. This is one book you will probably want to purchase if you intend to read it because it gives you a passcode to take their Emotional Intelligence assessment. You can see your benchmark EQ score and then you’ll have the opportunity to take it again later to see your improvement after you’ve had the chance to work on some of the skills. The four EQ skills covered in this book are Self-Awareness, Self-Management, Social Awareness, and Relationship Management. Two skills that are more focused on the self and two that are more focused on your interactions with other people. Each skill then has 15-17 short strategies for you to use to increase your skill level. The book doesn’t go particularly deep in any one area, but is a great place to start from if you’re working on improving your EQ. It’s a slim book that will be an essential part of your entrepreneur library as you can easily pick it up at any time to check in on how you’re doing with your EQ skills.